Bitcoin, the beleaguered cyrptocurrency, appeared on Monday to be on the verge of breaking out of the bearish sentiment that has gripped the cryptocurrency market over the past year. On Friday, the world's largest and original digital currency jumped around 10 per cent within 24 hours, pushing past $3,700 for the first time in three weeks. 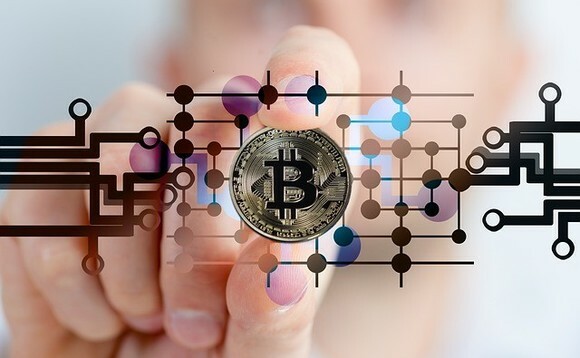 Following surging Bitcoin prices at the end of last week, Nigel Green, the CEO of deVere Group, observed: "It was a relatively sudden jump and, of course, positive news for those currently holding Bitcoin. "However, the price only reached the top of the trading range and investors should not be popping champagne corks just yet." Green continued: "There are three likely drivers of Bitcoin's price spike. First, there are widely published reports that according to a leaked interview with a commissioner, a Bitcoin exchange-traded fund (ETF) could imminently secure approval from the US securities watchdog. "Second, the development of the lightning network which will dramatically improve Bitcoin's well-documented scalability issues, allowing it to move towards mass adoption. "And third, the 2020 Bitcoin halving. The code for mining Bitcoin halves around every four years and the next one is set for May 2020. When the code halves, miners receive 50% fewer coins every few minutes. History shows that there is typically a considerable Bitcoin surge resulting from halving events." The deVere CEO concluded: "Bitcoin is the flagship cryptocurrency and, as such, we can expect when its values climb, it will drive prices of other major digital currencies such as Ethereum and XRP." The surge in value also came as Mark Jeffrey, CEO of Guardian Circle and a pioneer of Bitcoin, predicted that the "price of one Bitcoin will reach $250,000." At the time of writing, one Bitcoin was worth $3,586, still a far cry from its peak of almost $20,000 in December 2017.